Our good friend The Crane Man decided to give us a visit. We sure were fortunate he gave us a lift! This monster of a tree stood at 120 feet boasting a 42-inch diameter base. However, this beast was not a match for the 165-foot Crane Man crane. Lifting our tree expert Josh into the air with the crane allowed us to quickly get to work on the first task. First, Josh secured the branch with a sling, and moved into position to cut a large portion of the branch off. Freeing the branch, the crane guided it to the ground avoiding the home. After removing the branches our tree expert Nick notched and fell the tree. Finally, bringing this behemoth to the ground! 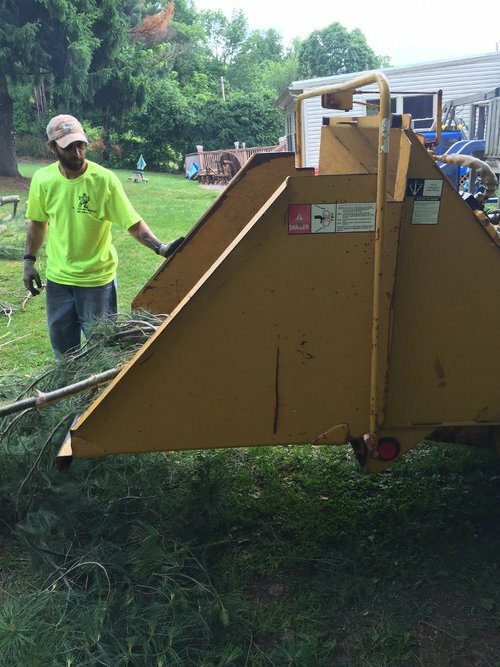 Our crew cut the remaining tree and began the chipping process. Ensuring your property is beautiful and clean. Up Up Up ... how high does It go? No tree is too high for our crew. This is a great demonstration of the knowledge and experience of T&N Tree Naturalists. With our tree service experts utilizing safety gear and following safety regulations, our climbers climbed 90 plus feet into the air. The tree was tall and infested by carpenter ants. Proving T&N Tree Naturalists can overcome the creepiest and scariest of obstacles. The danger of the tree hitting the home and outdoor play set, could definitely spill trouble for the whole family. 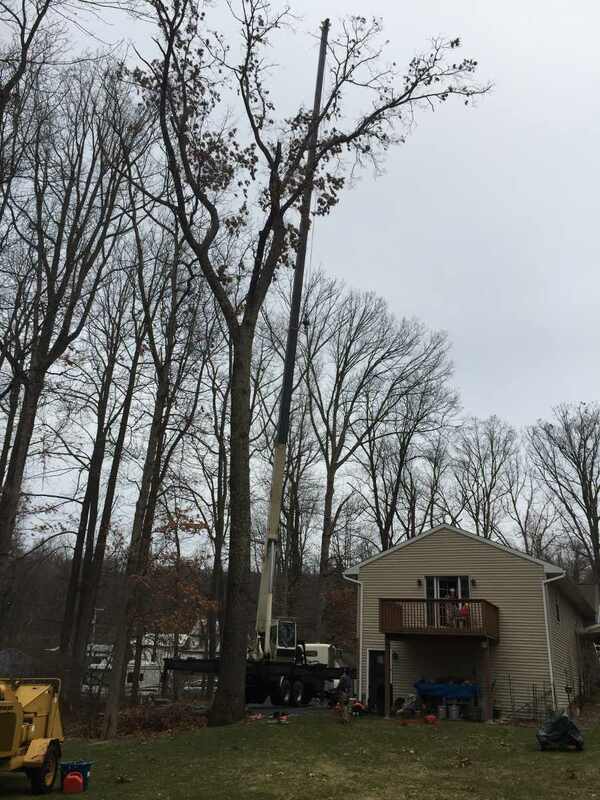 Not to worry, our experts strategically take down every tree, knowing the dangers involved and ensuring your property and families safety. This tree was over a fence and between two houses. Using ropes, communication, and years of experience, we effectively took this tree down avoiding the historical wooden fence below.